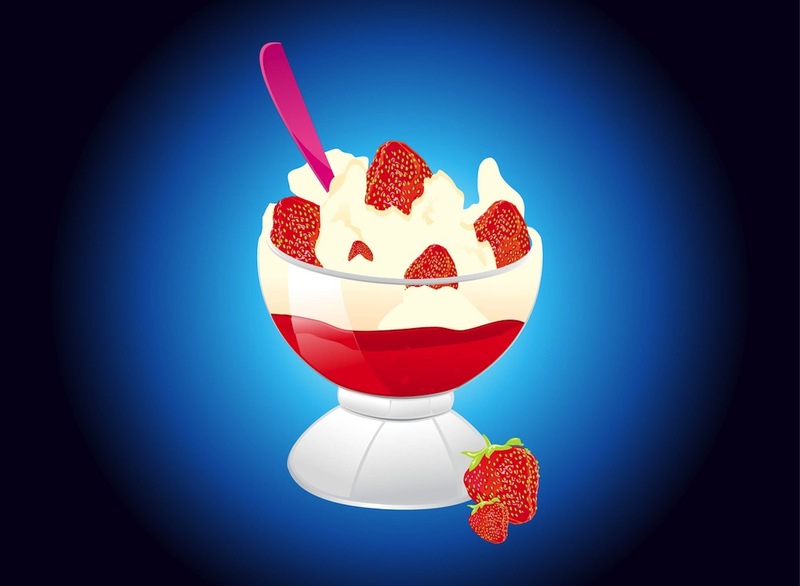 Dessert vector image of a delicious strawberry and ice cream recipe. Sundae decorated with many realistic fruits. Shiny glass bowl and bright color spoon inside the food. Free vector image to create food, sweets, recipes, cookbook, restaurant, fruits, ice cream, yoghurt and fruit salads visuals. Tags: Bowl, Delicious, Dessert, Food, Fruit, Ice Cream, Strawberry, Sweet.